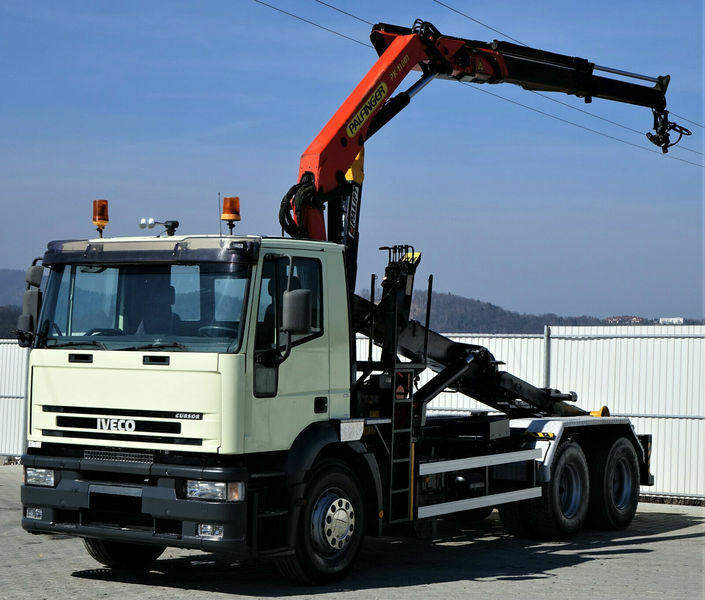 Our IVECO hook lift truck are available in a dealer's stock under your request. Engine/driveline: diesel, displacement: 7790 cc, 310 hp, gearbox: manual, retarder/intarder. Body: loading length: 5100 mm.